Do you have a marriage certificate that needs to be translated for you to clear immigration? Do you need translation experts who would provide certified translation of marriage certificates that will be cleared by the Immigration Office? Are you looking for a company that provides marriage certificate translation services at affordable rates? We are here to help you out. NordicTrans is one of the best translation services when it comes to family documents that need to be ready for the immigration process, be it in the UK or in the US. 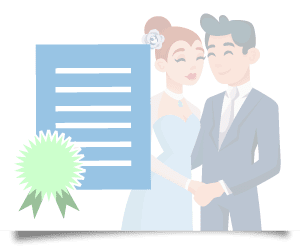 A marriage certificate is a certificate that is issued by governments all over the world after a legal marriage ceremony, stating that two people have now joined in a bond that they will uphold for life and remain together till death. Such documents are intertwined with the religion and culture of the signatories’ native land. If you are a Muslim Pakistani; your marriage certificate will look different. If you are a Muslim Arab, it will have similar religious undertones, but the outlook and language will still be different. If you are from the Asia Pacific, then your marriage certificate will be different and if you are Catholic then it will look different. Each country has its own, official marriage certificate template which is different from country to country. When it comes to immigrating in another country like United States or United Kingdom, you will need to have your marriage certificate translated and certified according to the rules of each country. This is where we can help you: if you want it for the US, our Miami translation office will translate it, if you want to immigrate in the UK, our Birmingham office will translate and certify it for you. Are you worried about how standardized your marriage certificate translation should be so that it will clear immigration? Worry not; NordicTrans is here to make sure that you get the best certified translation that you need. During the translation process, we make sure that we follow the rules and regulations imposed by the office who requested the translation. We are also able to provide notarized translations whenever needed, so that your certificate will be cleared by the immigration office like a breeze. We have a strict process to ensure that you get the best marriage certificate translation services for both UK and US. If you’re in the US, all documents that are submitted to the USCIS office have to be translated and certified if they’re not in English. Similar, in the UK, you need to have the same. Obviously, each country has its own rules, but we are able to accommodate both as we have an office in UK and another one in US just for that. With over 3000 translators in our midst, we are able to do just about any language. Although we specialize in the Nordic languages, we do have resources to take on any project. We do certified translation of marriage certificates from any language into English, and we have one of the lowest rates in the market. With us, you can have your certified translation done in 24 hours or less, and it will cost you only 20, no matter if you need translation from Chinese or Spanish. We know that quality is the first thing a client is looking after, the second is the price and the third is the time it takes to deliver. While it may be hard to come by a translation company to offer the first 2, it’s even harder to get all three. We are proud to offer fast translation services (certified translation in 24 hours or less) which come in high quality (with guaranteed acceptance at the Immigration Office) and at a low cost. Marriage certificates are written in a variety of languages, diverse styles and have legal requirements and rules that are sometimes unique to the country where they have been issued. Marriage is the strongest of the bonds and a great social contract. The marriage certificate will bring in the culture and land that it represents in form of legal rules and regulations of the native land. Many of these rules and regulations will be specific to its people and many people will find them surprising due to unfamiliarity with the culture that they represent. We provide certified translation of marriage certificates no matter in each country the originals have been issued. This means that along with the translation, we also provide you with a certificate of accuracy. The certificate is deemed compulsory by the USCIS office in he United States and by the Immigration Office in the UK as it insures that the translation is a true representation of the original document. We ensure that the translated document we provide adheres to all the regulations of the immigration laws in UK and US. We have a second translator who reviews the first translator’s work and ensures that no mistakes are made in translating the document. 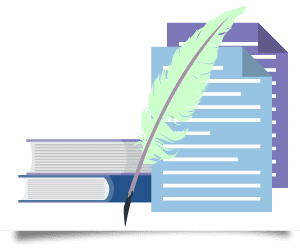 We go through a double check because not only do best minds also make mistakes but also simply because we want to make sure there will be no issues with our translation. 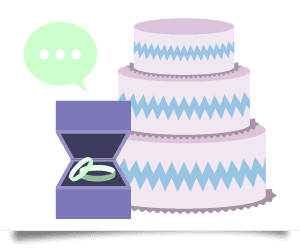 Why would you translate your marriage certificate? Often times, legal proof of marriage can make it easier for spouses to travel together. If you can’t prove that you are married when leaving or entering a country, it is likely that you and your partner will be split up or stopped for questioning. This is the reality of international exploration, but having accurate documentation can help avoid it if you translate your marriage certificate. It is necessary for your marriage to be lawfully authorized by the government of the country you are living in or traveling to. If it is not, you may not get the benefits that many wedded couples get such as tax breaks, everyday expenses and much more. When you move to a different country, hire our expert translators to assist you with the translation, so your marriage gets valid and recognized for all the benefits of a legal union. Identification documents like passports, driving licenses or birth certificates are required for living or working in another country. Though, things can get difficult if you’re married and your surname is not the same across all your ID documents. So, it is helpful to translate your marriage certificate so you can show why your surname differs between your passport and your birth certificate. We will save your time, money and stress. If you are looking for quality marriage certificate translation services, contact NordicTrans today for a free quote and hire our experienced translators to make sure the job is done right the first time and avoid paying extra fees or experiencing headaches later on! NordicTrans is one of the best agencies to get certified translation of marriage certificates from. We have an excellent team that will take care of your marriage certificate translation. Get in touch and see what we can do for you. Marriages are said to be settled in heavens, but what about the marriage certificate translation, especially when you are planning to move to a different country? It’s the thing with translations, a need may occur when you are expecting it the least. But for a life partner, you can do that pretty easily because after all, it’s all about love. We know that certified translation of marriage certificates are needed in immigration processes, business matters, legal issues or even in medical emergencies. So no matter what your reason is, wherever you are moving, you just have to get in touch with us and our certified translators will adhere to all the strict standards and provide you with a quality translation in the quickest time possible. The best part about our company is that we are not only particular about quality, but we are also concerned about your urgency, budget, and privacy. So we make sure that when you choose us, you choose us for life and never regret using us. Our affordable translation services make us the choice of millions of customers all across the globe and we intend to remain that way. 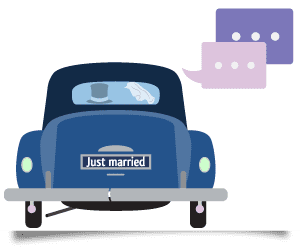 Next time you hear someone talking about marriage certificate translation services, you know you can tell them about us without having a mere second thought.